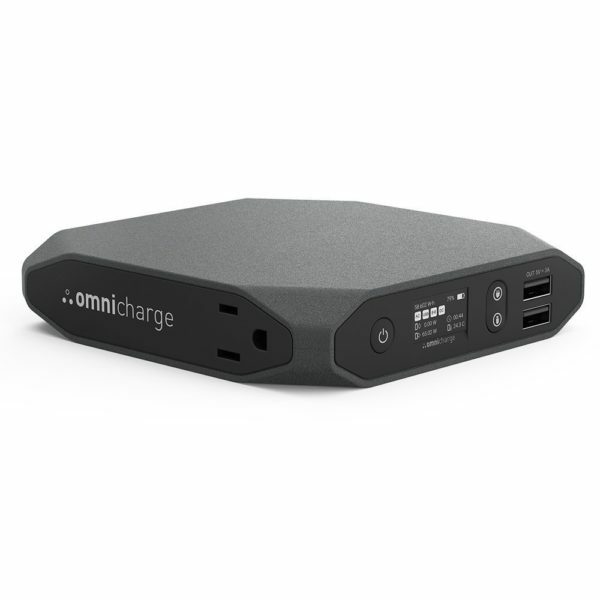 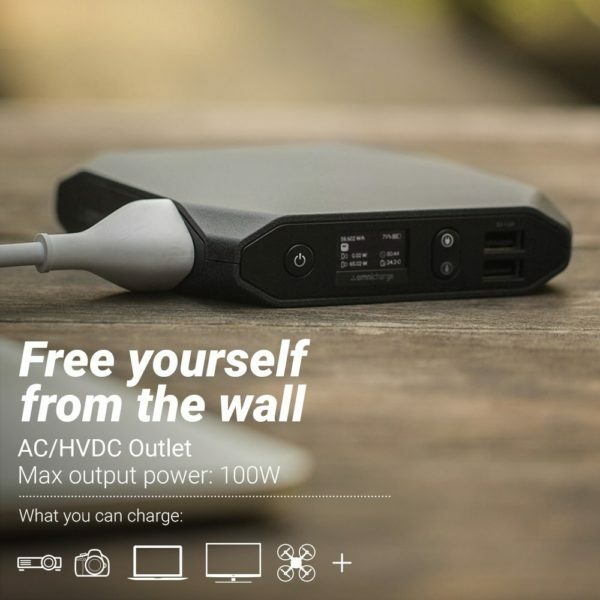 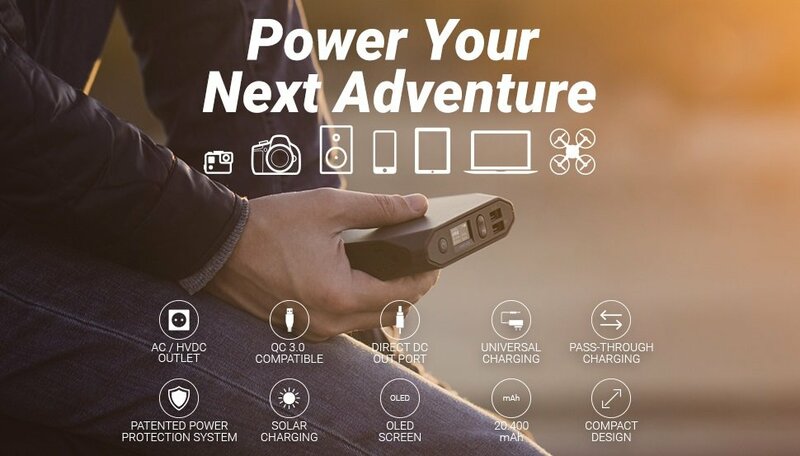 Omnicharge Omni 20 is the first smart power bank with AC/DC outlets to charge your laptops, DSLR cameras, & more. 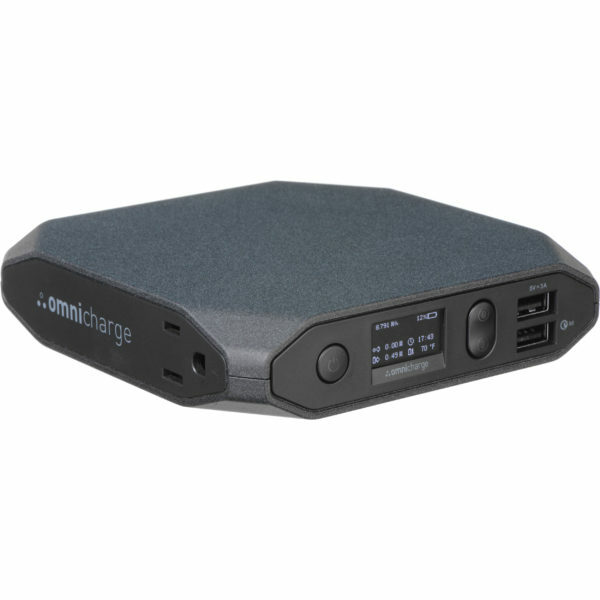 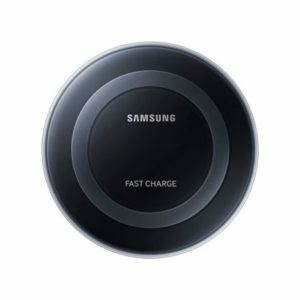 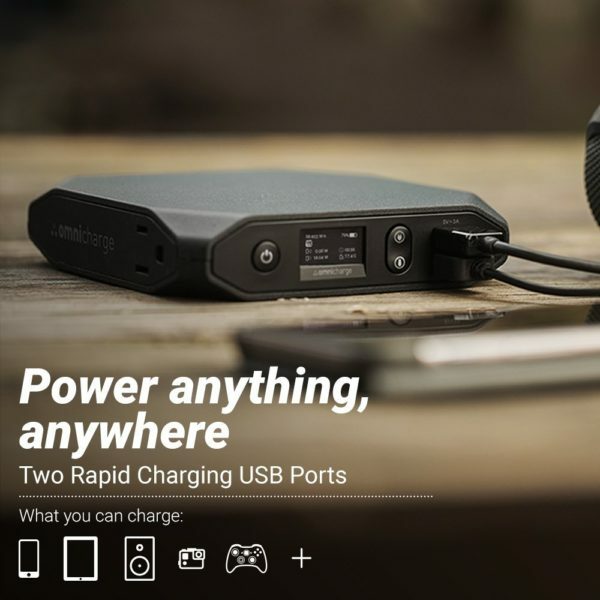 The Omnicharge has Pass-Through Charging (Wireless) which can charge a device that has wireless charging capability simply by placing the device on top of the Omnicharge. 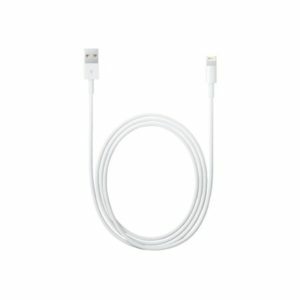 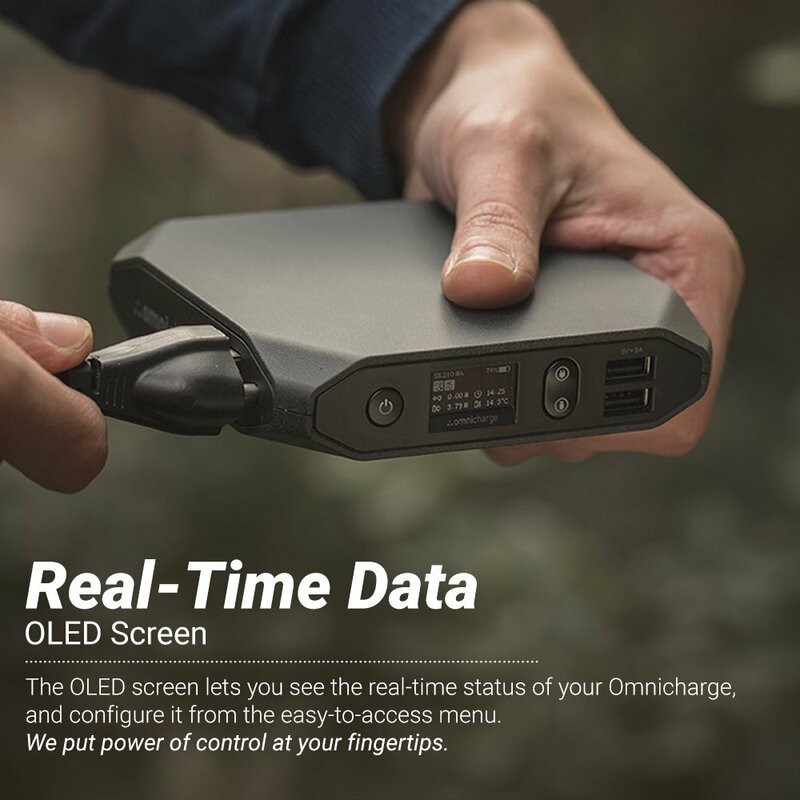 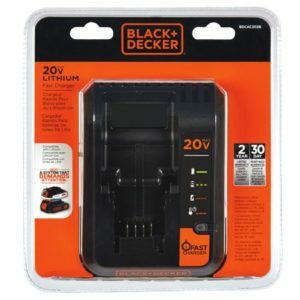 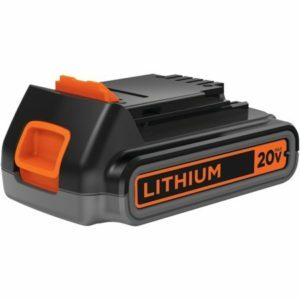 The Omni 20 provides real-time power management capabilities displayed through an OLED screen, and comes with intelligent charging, resulting in the optimal charge for each device.